Where young people are able to realize their full potential and become leaders in creating the changes they want to see in their communities and, ultimately, the world. Wells Mountain Initiative works to create social change through education and community building by providing bright young people in the developing world with student scholarships and skills training, building a network of grassroots leaders who are catalyzing community transformation. WMI provides financial and social support to undergraduate students obtaining degrees in community-oriented fields, and encourages them to be the agents of change in their own communities, nations and the world. 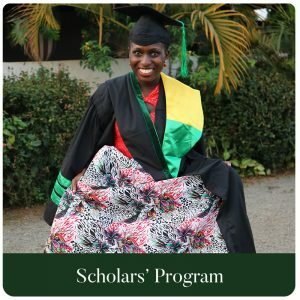 Although our Scholars program stands at the forefront of our mission, our special interest projects play an integral role in WMI’s vision for impact. 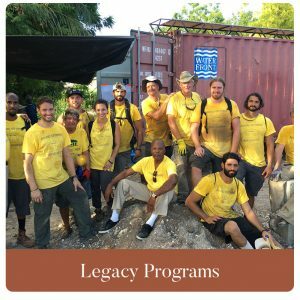 Our legacy programs include community projects in Haiti and a global literacy program. Welcome Maren ! I'm excited about your prestigious profile . We , are hoping to learn from . Thanks to the WMI leaders, we are proud of your efforts. We are proud of you. Tapping into our potentials and bring the best so we would be able to contribute towards national development is our focus. Welcome aboard....look forward to helping you in your efforts. Awesome intern for an awesome organization! Enjoy your connection with this family of large hearted members....and all the best in your internship. This is a challenge and a motivation too.... if each one person can touch two lives, none in the world would face challenges a lone. Kudos Scholars! I am so proud of our WMI Scholars. They all have very busy lives working and studying to improve their own skills yet they are also so busy trying to make the world around them a better place. This is a “disease” we need to become an epidemic. This is what I call making the world a better place for everyone,good job guys . Our Scholars are doing amazing things all around the world! One can not help many but many can help one person to have a better life . Keep your head up dear leader and we are equally proud of you as well! In honor of the International Day of Women and Girls in Science we want to celebrate 63 WMI Scholars who are excelling in STEM-related fields. •Jackline Ombura who studied clinical medicine is now a doctor working for the Ministry of Health in western Kenya. •Jawaria Shahzad of Pakistan studies pure and applied science. She plans to become a civil servant and engage biotechnology to further development and prosperity in Pakistan. •Julietta Abaeyel Lakyiere of Ghana is studying to become a restorative dentist and hopes to also become an educator and researcher in her field. Keep the good work going WMI. So glad you will be spreading light and hope!